Comfy, hot shower, good WiFi, close to airport, reasonable price. Will stay again. Clean rooms with great staff they even made us breakfast early before our airport transfer! It was in a good location, but the room definitely needs remodeling. The doors cant close completely, you have to put a stick. There were ants all over the toilet. The breakfast was okay and the pool area was nice. A business trip with a few days of sightseeing. Wonderful area to explore. Food and shopping was great, the people were warm and friendly. Very hot and tropical, but managed to keep cool by the beautiful pool at the Colony Hotel. Located in Laksmana, this inn is within a 5-minute walk of Eat Street and Seminyak Beach. Seminyak Square and Double Six Beach are also within 2 mi (3 km). Service and cleanliness was terrible. The location was good. I will never stay there again. 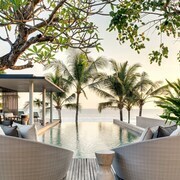 Situated near the beach, this inn is 1 mi (1.6 km) from Kedungu Beach and 1.7 mi (2.7 km) from Tanah Lot. 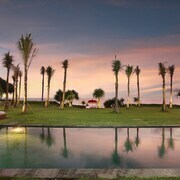 Nirwana Bali Golf Club is 2.1 mi (3.3 km) away. Fantastic peaceful stay. Staff were so friendly & service outstanding. Was sad to leave.